“People make mistakes, mistakes don’t make the people." Well, I have cried like a baby reading this book, Corinne Michaels certainly ripped my heart out, stomped on it, cut it up into little tiny pieces and then slowly but surely put it back together again. I love an emotional read, they are my favourites and Corinne certainly delivered on that front, I was decimated but I also had a lot of laughs and smiles. 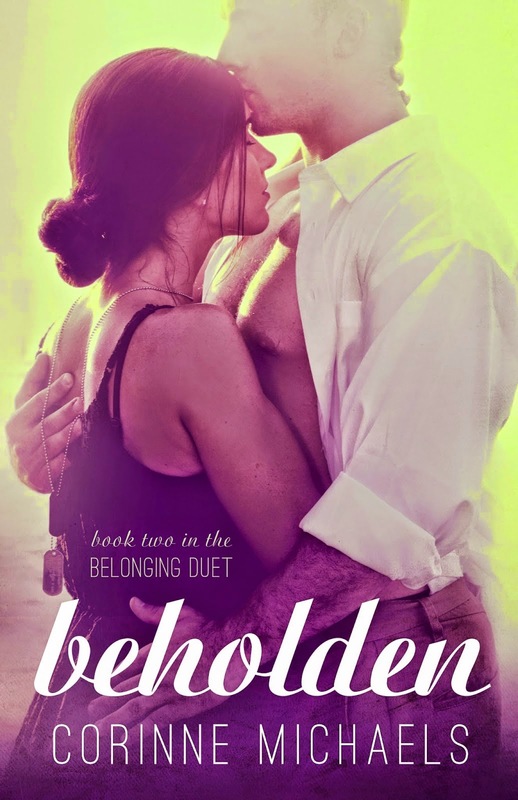 After the cliffy we were left with in Beloved, Corinne takes no prisoners with the prologue that this book begins with, she truly goes for the jugular…so taken aback was I that I had to read it again just to make sure that I hadn’t read it wrong. All I can say is, what a start!! Jackson and Catherine were a couple with issues, we knew this and finally Catherine realises what she wants and who she wants and that is Jackson. When Catherine sets her mind to something she is like a dog with a bone and I was hoping that Jackson was ready for the onslaught that was Catherine. Jackson needed this though, he needed her to take the initiative and I was so glad she did. I love this couple and was rooting for them from the start. You know that the course of true love never runs smooth and despite some omissions I was championing Jackson throughout this book. “I love you, Catherine. I would walk through fire for you,” Jackson says and my heart stops. Jackson is a man with a lot of weight on his shoulders, even though it really needn’t be weighing him down. In his line of work there is always going to be deaths, but each death Jackson takes personally and bears the weight and burden. He is so conflicted at times. He feels undeserving and just feels that anyone that matters leaves him, so he tries to protect himself. The intense feelings that he has for Catherine, at times scares him, but he also realises that despite what he tries to tell himself, he needs her just as much. We have ups and downs, secrets have a habit of getting a voice and coming out into the open with devastating consequences for these two. This time it is Catherine that does the walking and is also Jackson’s turn to do the pursuing. He comes to realise that him and Catherine were meant to be together, they cannot live without each other, despite the world trying to intervene and tell them otherwise. He know needs to make her see that he is the one, despite their flaws. The growth in Corinne’s writing is evident throughout this book. The story was compelling and I couldn’t put it down, I had to read in one sitting. I had run the gamut of emotions and was a snotty, puffy eyed mess, but I knew that I had read a really good book. The intensity of their chemistry radiated off the page, I felt more for Jackson I must admit. I felt that all-consuming love he had for Catherine, I felt his pain and his insecurities, I just connected with him a whole lot more. I felt for him on so many levels, when he hurt I hurt, I just wanted to give him a huge hug. Catherine and her abandonment issues had me a little cross at times but I did understand and had to give her the benefit of the doubt, even if she was putting my Jackson through the mill in the process. This was a great sequel and ending for these two. From the prologue to the epilogue you will be hooked. You will feel, you will laugh, you will cry, you will love, you will hate, you will get angry, but you will also be happy. Yes this plethora of emotions is just the tip of the ice berg for this journey that you are about to embark on, but one thing is for sure, you will know it was good, like really really good.